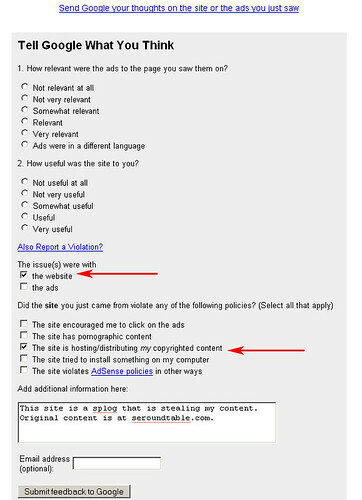 Every Google Adsense ad -- including ads on splogs -- can be reported to Google if it is in violation of any particular AdSense guideline. How is this done? Let's walk through an example from a splog. 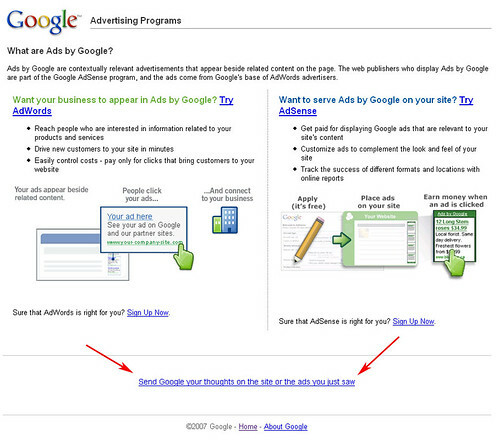 First, you click on "Ads by Google" (in some instances, you will see "Feedback - Ads by Google"). 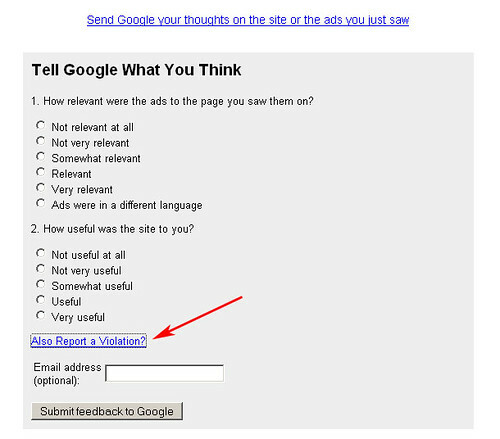 Then, you will scroll down where you can click on "send Google feedback on the ads you just saw." After that, expand the form to "report a violation." After you report this splog, Google will send you a DMCA form to fill out and you'll have to show screen caps in order to validate your claim. It will take some time to get these DMCA complaints verified (which can be a bit of a pain), but in the end, it's worth it if you're concerned that your content is being ripped off.